Airport Orchard B&B is a bed and breakfast Dublin Airport travellers will find very convenient as it is located less than 4 minutes’ drive away. This Dublin Airport B&B is set within 2 acres of beautiful gardens. There is plenty free parking on site . Dublin city centre is less than 20 minutes’ drive from the house. Free WiFi is available throughout this house. An airport shuttle service is available to guests. 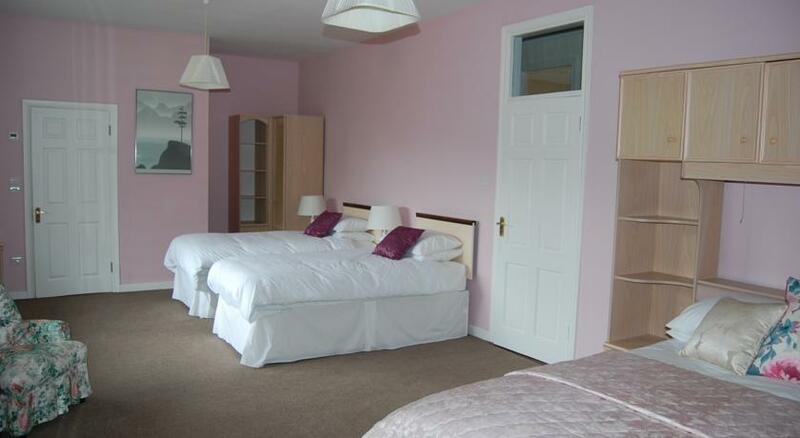 There is a choice of Double or Family (2 Adults + 2 Children) rooms at this Dublin airport bed and breakfast . The bright airy rooms are quite large and have a modern en suite shower room with a hairdryer, a flat-screen HD TV, and tea and coffee-making facilities. Full Irish or Continental Breakfast is served each morning and early breakfast is available on request. Dublin Airport (4 minutes), Royal Dublin Golf Club, Portmarnock Golf Club, Airside Retail Park, Clonshaugh Business & Technology Park, Portmarnock Beach, Malahide Castle.